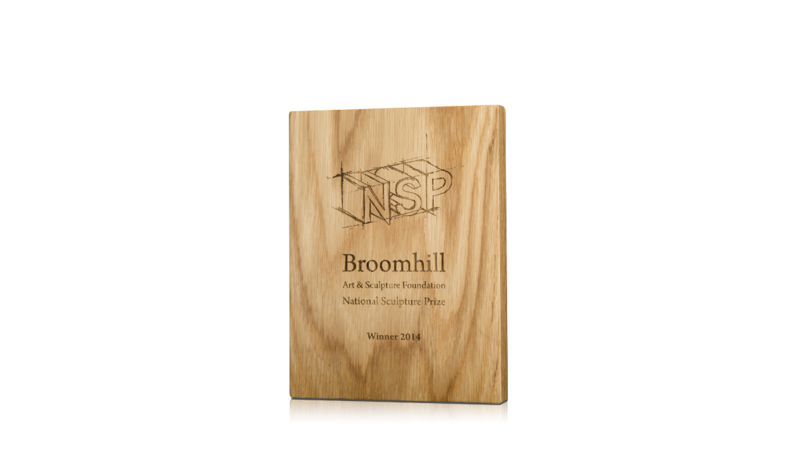 Wooden tablets crafted for the NSP Broomhill National Sculpture Prize. Tablets designed in FSC certified wood are a cost-effective and environmentally friendly option. Engraving gives this tablet a finished and cohesive look, for not only the winner’s details, but also the branding.